Maybe you know how excited we are when we get our hands on a new piece of tech. Well, with Desktop.bg’s Phantom: Hypersonic configuration it was love at first start! Even if we’re being purely platonic, the aesthetics of this PC entangle our fantasies with their slick black surface and a see-through side. 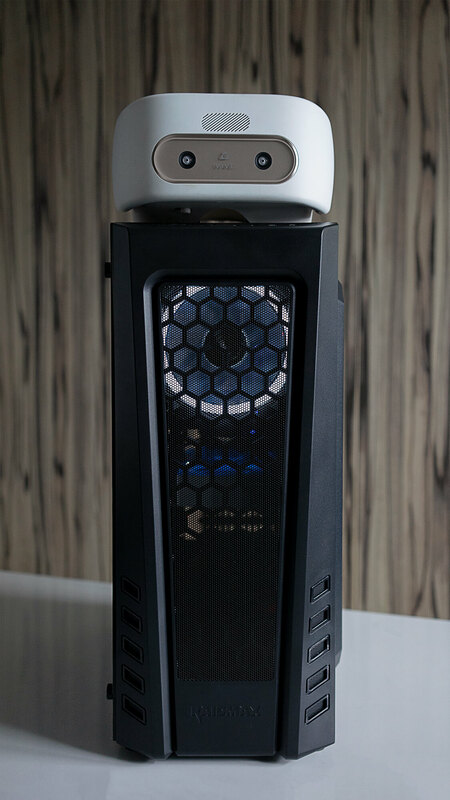 Not only brightening our hearts with the gorgeous lights, but providing a clean look at the epic hardware that makes this powerful monster what it is. The only thing that surpasses the breathtaking look of the machine is its performance. We tried our best to make it slow down or stutter, but weren’t even close to succeeding. 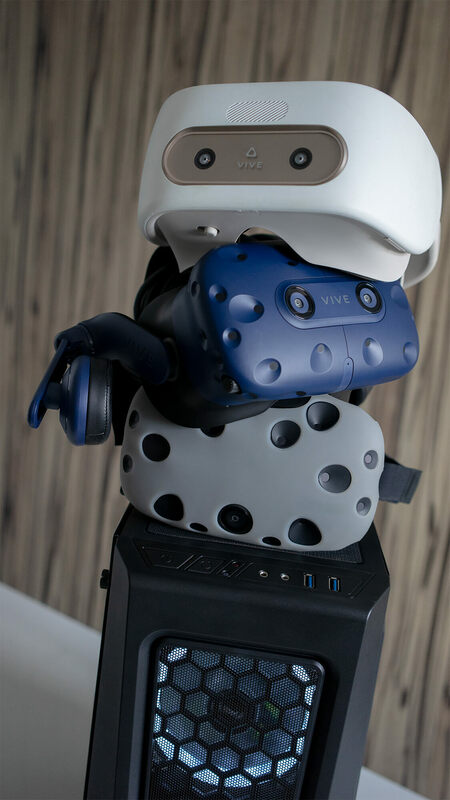 We used the Phantom for virtualization, VR experiences on the Vive, and heavy gaming – none of it affected the flawless performance of the beast. With a 480GB SSD – 2 times larger than the usual – and AMD Ryzen 5 2600X for a CPU the Hypersonic is perfect for enthusiasts like ourselves where a hiccup of the performance for even a second can stretch the thread of our perfectionism. AMD Radeon RX 580 is not the most powerful GPU out there and its 16 GB of RAM are on the average side, but these specifics didn’t seem to lower the performance one bit. And when we say the Phantom is a silent beast, we mean exactly that: what you hear is rather a purr than a growl, but what you see is a powerful monster, determined to stop at nothing on its way to preying on every game the user throws at it. You won’t regret it should you decide to take one of these tamed predators home!